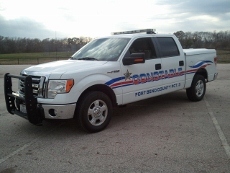 The Pecan Grove POA works closely with the Ft. Bend County Sheriff’s Department as well as the Ft Bend County Constables Department to provide additional security to our residents. Visibility is a key to security and we are fortunate to have some of the finest officers in Texas helping to keep the neighborhood safe. If you notice one of the officers while you are out, take a moment to wave or tell them thanks for what they do. Safety cannot be guaranteed no matter how dedicated the officers, it requires all residents to participate; watch for unusual activity and notify the Sheriff’s department immediately if you suspect or witness a possible crime in the area. The Sheriff’s Department provides a neighborhood watch in our area? If you plan to be out of town for an extended period of time, up to 14 days, let them know by going to the Ft Bend County Vacation/House Watch site, send them your information so they can help keep a eye on your residence. Solicitors – While the Pecan Grove Covenants do NOT include a provision preventing Solicitors. Residents are urged to place a ‘no solicitation’ sign near the front door and visible to anyone approaching your door . Solicitors should be asked to leave, if they do not promptly leave upon request, you should contact the Ft Bend County Sheriff’s dispatch number at (281) 341-4666 and report your concern.